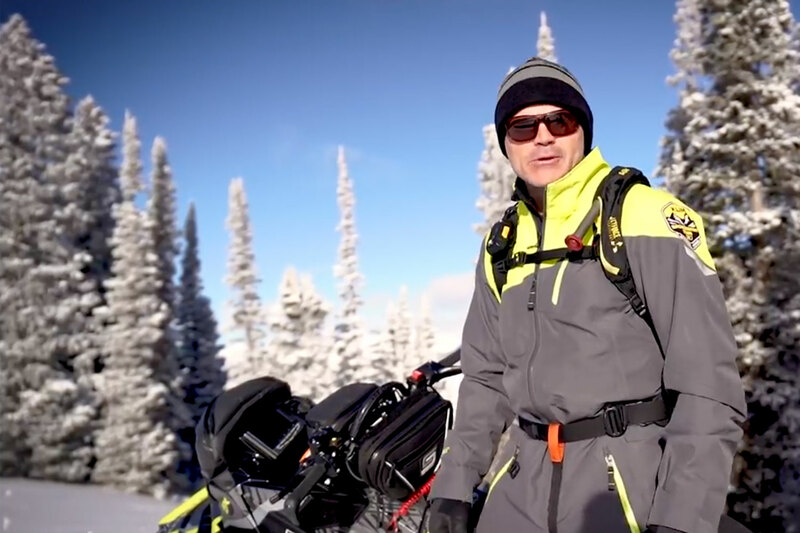 The idea behind iACT is to allow the rider to custom adjust the sled's suspension to the terrain you're riding by toggling increased or less compression damping from the drivers seat to the shocks. Each shock has three settings, SOFT, MEDIUM and FIRM, and the rider can glance at the big digit display on the dash and select which setting is most comfortable. Response is near-instantaneous. Fox, the manufacturer, claims settings change within a second. We think Cat's rapid selection of only three possible compression settings and the fine-tuned damping results you get instantaneously from iACT trump Ski-Doo's air adjustable setup available on the Enduro and we actually prefer only having three settings - especially since you can really feel the differences and besides, it eliminates a lot of driver error in the process. Another biggy is the fact iACT adjusts both front and rear damping at once, not just the skidframe's rear arm as Ski-Doo's system does. The iACT shocks are located left and right up front and on the rear arm. Changing dampening at both ends of the sled makes a huge difference in how the chassis handles rough terrain. Although you can't toggle front and rear damping separately, it gives you everything you'd hope for from an on-the-fly-adjustable suspension. 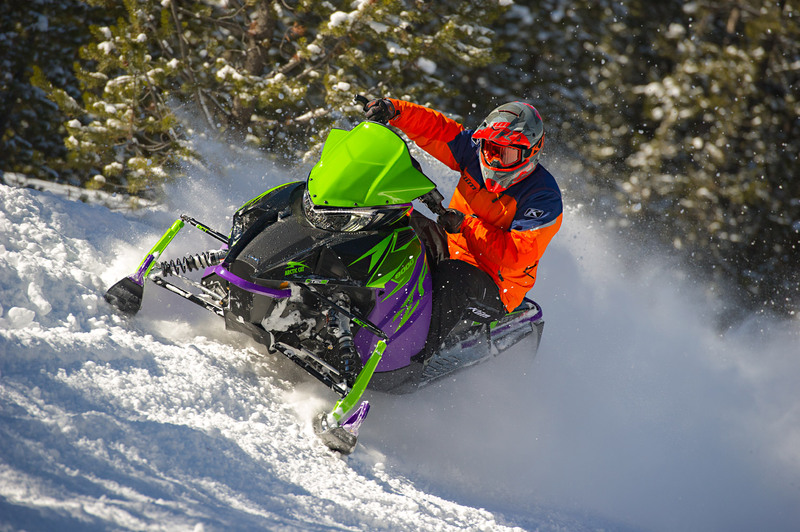 If you have occasion to jump your Cat, say when you're in the ditches running approaches in Minnesota or Wisconsin - as you ramp up to the drop-off, just toggle FIRM and the sled will deliver maximum damping for your landing. You can quickly toggle back to SOFT or MEDIUM after the landing. Sightlines to the dashboard iACT indicator are incredible. The big digits clearly displayed on the dash are readable at a mere glance and the toggle is set up so you don't compromise your grip on the bars when you're making changes.